In the Shadow of Crows is an inspirational, elegantly written account of a young man raised in the suburban comforts of Surrey, a widow ravaged by leprosy in the Eastern Himalaya, and the impact on them both as their worlds collide. “I learnt so much from this book…it shows a great depth of understanding.” -Nikki Bedi, BBC Asian Network”A journey into another world that tells a story which is at once accomplished, intriguing and moving.” -Gilda O’Neill, author of the Sunday Times bestseller, My East End In the Shadow of Crows is an inspirational account of a young man raised in the suburban comforts of Surrey, a widow ravaged by leprosy in the Eastern Himalaya, and the impact on them both as their worlds collide.When Bindra contracts leprosy she is driven from her home, even from the foothills in which she was born, due to the prejudice and ignorance of those with whom she lives. She finds herself on the Plains, away from all she has ever known, divided from the only language she is able to understand. As Bindra undertakes a seemingly impossible journey in search of understanding and peace, she loses all that has maintained her strength and sanity. She is eventually left languishing in a charitable compound, where the children of others affected by leprosy gradually restore her will to live. David is brought up speaking “kitchen Urdu”, due to his family’s heritage in the Punjab during the Raj. His childhood imagination is entirely consumed by a fantasy life in India, a country in which he has never once stepped. Not until he finds himself lost, isolated and without direction due to a series of tragedies, is he driven to rediscover his non-British roots. In so doing, he discovers some thirty relations still living in the Eastern Himalaya, of whom nothing had been spoken due to their mixed blood and illegitimacy. However, the reality of the poverty and misery with which he comes in contact on his journey across the Subcontinent finally dispels the naivety of his childhood imagination, whilst inspiring him to radically change the path of his life. And when he eventually walks into a leprosy colony and meets an elderly woman called Bindra, both their lives are transformed. 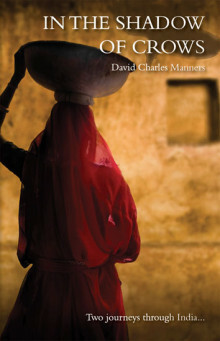 DAVID CHARLES MANNERS enjoyed an eclectic education in Epsom, Lichfield, Paris, Frankfurt, Stockholm and Kalimpong. He is the co-founder of Sarvashubhamkara, a charity that provides medical care, education and human contact for socially excluded individuals and communities on the Indian subcontinent. For the past fifteen years, David has spent his life between the Sussex Downs and the Bengal Himalaya. His website is www.davidcharlesmanners.com.